Whether you are opening a new small business or you have established one already, the bank you choose can help or hinder your efforts. Because it is so important to your success, when looking for a bank you should put in the effort the same way you would when looking for your significant other. The relationship between you and your bank will be a marriage of sorts, and just like in the dating world, you're going to have to kiss a few frogs before finding your prince or princess. Let's narrow down your search by looking at factors you should consider while finding your bank. Your needs can vary depending upon whether your small business is on firm financial footing or needing a boost. And do not forget how much damage fees can do. Ask yourself the following questions before choosing your bank. When you need a loan for your small business, first consider how much you need. Then, you should check with banks, both online and in person, to see how much they can approve for you, with or without collateral. Some banks will be out of the running automatically because they may not offer loans big enough to suit your needs. Next, you need to look at how much interest you will be on the hook for. There is a wide variation of how much you will pay from bank to bank. And if your credit score is not great, you are going to have to pay more than you would if you had a good score. It can not be emphasized enough that you need to shop for the best interest rate you can find. Even one percentage point may mean thousands of dollars more you will have to pay back, depending on the length of your loan and the amount you borrow. If you need a loan, look at whether the bank you are considering charges an origination fee or pre-payment fees. If your business takes off and you can pay off your loan far faster than you would ever imagined, you do not want to have to pay a penalty for that. If you do not currently need a loan and do not expect you will, you still want to be wary of the fees your bank may charge. Do you already have a relationship with a bank in your city? If you have done business with a bank for a long time and you need a loan, they may be willing to cut you a break. That is especially true if you live in a smaller community where character and reputation matter almost as much as a credit score. The banks in smaller regions may take a more personalized approach to lending than big banks, which might just consider your credit score as a complete snapshot of who you are. If you are looking for a bank that is really rooting for you to succeed and will do whatever it can to help you reach that goal, you may want your small local bank. They tend to be more small business-friendly than bigger banks are. Do you want a company credit card? Your best bet for a company credit card may be from a bigger bank, which will have more competitive terms. Keep in mind though, a company credit card is not desirable for every small business owner. 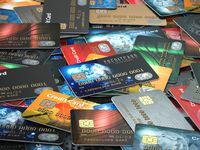 If you have had trouble controlling your own personal credit card debt load, you might want to steer clear of a credit card for your company. That can lead to overspending, which can destroy your business quickly. Are they known for great customer service? You would think, given the highly-competitive banking industry, that banks would make outstanding customer service a priority, but sadly, that is not always the case. Sometimes you run into tellers who look like they have been sucking on lemons all afternoon. If you are already having a banking issue, dealing with that kind of attitude can be enough to ruin your day. Banks can seem like they have the greatest customer service in the world while they're trying to get you to sign up for an account, but once the chase is done and you've signed up for an account with them, the honeymoon is officially over. As a small business owner, you'll likely have frequent interaction with your bank, so you want to find one with a friendly customer service department. Your best bet is to reach out to other small business owners you know and see where they do their banking. If they've had bad luck with the customer service there, they'll tell you. Nothing can loosen people's lips quite like being mistreated by another business. Some of the things that could influence your choice of banks include how many transactions you expect to make every month and the methods of transactions available to you. Some accounts, particularly savings accounts, will charge a fee if too many withdrawals are made during a month. You should also think about what the lowest amount you'll keep in your account is because that will help you review whether you'll be paying fees with one bank that you wouldn't pay with another. Also, keep in mind bigger banks may have more tools to support your business than smaller banks will, such as things like payroll services, invoicing, online tax payments, and QuickBooks automatic downloads. If your bank can save you time with services like that, you'll have more time to spend on the important stuff, like figuring out ways to grow your business. Do they have strong digital services? This can be a huge consideration because, as a small business owner, you might do a fair amount of traveling. Whether you need to travel for your regular business, attend seminars, or just take a well-earned vacation, digital access to your accounts should be a must-have. You don't want to stress while you're away because of banking problems you can't handle fully until you get home. If you want a full range of current technologies available in the banking world, you may want to check out bigger banks like Chase or Bank of America.